Valentine’s Day is around the corner and you still have no clue what to do with that special someone. Here’s an idea, why not take her to St. Lucia? Valentine’s Day to St Lucia sounds exciting. This island is known as one of the worlds most romantic destinations. There are so many ways you can spoil her on this beautiful island. Can’t think of anything, don’t worry, that’s why we are here to help. Stare into her eyes at Rock Maison whiles the sun sets and the warm breeze of the ocean blows against your cheeks. This wooden deck is built below the cliff at the bottom of Cap Maison’s restaurant which makes the view to die for. Have a private dinner just for two where a bottle of champagne will be ziplined to you. Yes, you read that right! Ziplined to you. An extra feature of this beautiful place is that the bar is linked directly to the Rock Maison, so champagne and Hors d’œuvre can be ziplined by the staff to you as well. What a romantic way to tell someone I love you. Every woman deserves a day of pampering, why not spoil her at one of the best resorts on the island. Calabash Cove offers a variety of different packages at their spa that will entice everyone’s needs. Indulge in a couple’s massage lesson whiles you lie in complete tranquility. Allow your significant other to elevate tension and stress in your body while creating an intimate bond. Another great choice would be their chocolate escape package. Feel rejuvenated while you pamper yourself with their luxurious chocolate body scrub followed by an aromatherapy massage which is infused with chocolate peppermint oil. So many amazing choices from this amazing spa. Why wouldn’t you want to try this out? St. Lucia is known for being one of the most romantic islands as you already know. One of the reasons for that would be their exclusive couple hotels. Book a romantic getaway at the Ladera Resort where you could spend the day getting to know each other all over again. Spend some time in your own private plunge pool right in your own room. Head on over to the Jade Mountain Resort, where you can take a moonlight walk along the Anse Chastanet beach, hand in hand with your significant other. The open-air concept of the restaurant gives you a chance to connect over a great meal while having a beautiful scenery of the ocean to look at. Just picture it, her hair blowing in the wind, the sun setting right behind her, you down on one knee. The perfect way to say I do. You have the natural backdrop of the beauty of St. Lucia. The beautiful blue skies, the lush green mountains, the deep clear blue ocean. You don’t need a rented backdrop when you have it right here in St. Lucia. To sweeten this island a little more, the hotels will even help you set up the perfect proposal. Don’t let her miss out on the proposal of her dreams and if you are lucky, she might let you come back to have the wedding there too. Valentine’s Day to St Lucia ends with the perfect wedding proposal is the epic award of the year. Take her on a helicopter ride across the island where you get to see the spectacular view from a bird’s eye. It is the perfect picture to brag to your friends about and also impress your girl. Talk about killing two birds with one stone. The great thing about the helicopter tours is that they pick you up from most of any of the resorts on the island. Valentine’s Day to St Lucia has never sounded better. Thinking about the perfect getaway whiles in St. Lucia? Here’s a great idea, why not have a tour of the island and have your own private photo shoot. Imagine taking her on a tour of the island by sea or by land and surprising her with a photo shoot with just you two. The beautiful scenery of the majestic Pitons, or the crystal clear waterfalls at your back. What a perfect day for that special someone in your life. You can book this tour with Serenity Vacations and Tours. Want to find the perfect Valentine’s gift? The article has the best Valentine’s Gift ideas. 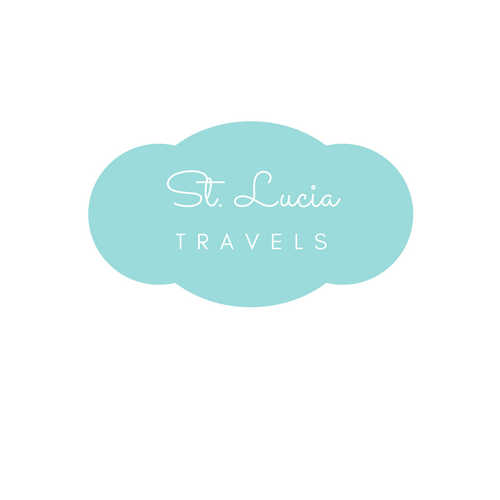 Tell us what you think of our Valentine’s Day to St Lucia idea. You can pin this here to read it later.